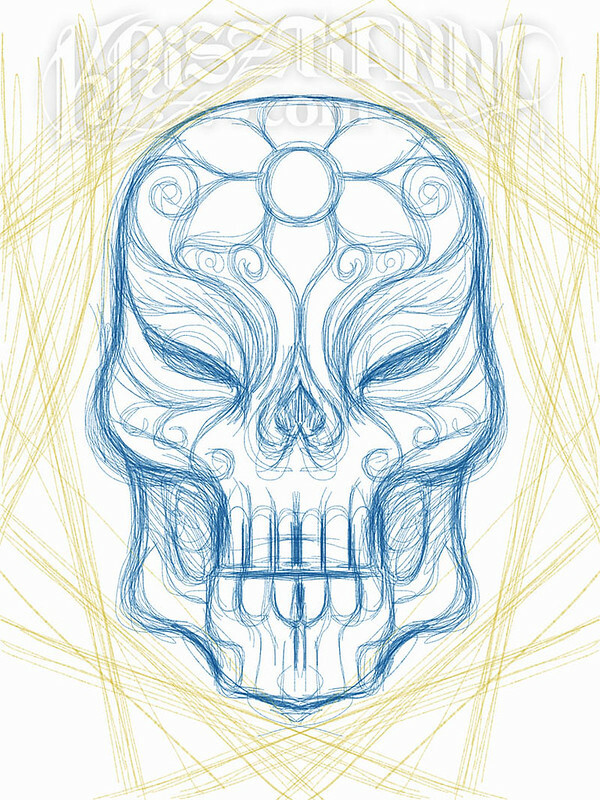 Sketchin on the choo choo – Skulls! Playing with the “mirror” draw effect in sketchbook pro. For the symmetrically challenged like myself, this is faaaantastic! I draw only one side and the other reflects automatically – sweeet! Drawn on the iPad whilst commuting on the train. Sorry I was gone for a few days – the evenings escaped me. I look back and can’t remember why I was so busy, then I remember I was being social which is not something I usually do – hence my surprise as I reminisce on why I didn’t have time to scan and post. Thank you for the title, Francis! I’m going to clean this up and submit to Threadless. I’ve been dismissed by them before, so again won’t be a problem.